One of the most challenging skills that every pre-schooler struggles with is writing. 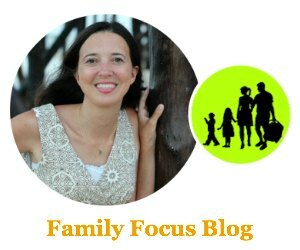 Many parents have been at the receiving end of resistance from their kids who refuse to hold a pencil and practice writing. Don’t worry. Developing pre-writing skills and learning to write can be fun. I went to a Montessori preschool and I loved it. The preschool Montessori activities were designed to help develop skills through natural play. Today I will share with you five preschool Montessori activities that help develop pre-writing skills in a fun way. Your child will enjoy these fun activities that feel free play to them but help them to develop their fine motor skills at the same time. You do not have to wait for your child to be in preschool to help develop those pre-writing skills. Even toddlers can be given activities that they will enjoy and at the same time, will help improve their dexterity and fine motor skills that will make them better equipped at holding a pencil and writing on paper. This is principle applied in the Montessori approach when it comes to developing pre-writing skills – by letting kids do activities that will help them learn through play. Here are some preschool Montessori activities that will help your child develop pre-writing skills. They worked for me! 1. Draw on a Montessori sand tray. 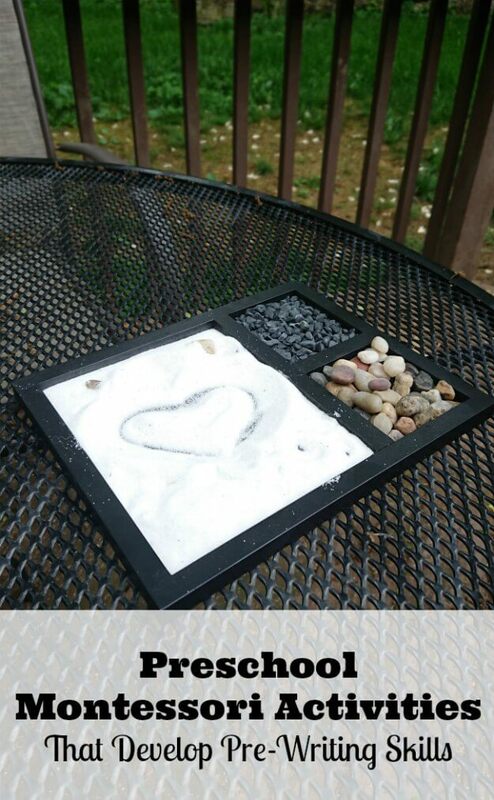 This is one of the easiest Montessori materials to DIY because it is basically a box with sand in it. You can try to substitute the sand with cornmeal, salt, or colored sand. You can also get sandpaper letters which the child can play side by side with the sand tray. The child sensitizes his fingers, traces the letters while saying the phonics sound then traces over and over again until the experience is imprinted into the child’s brain. These materials are both sensorial and tactile materials that encourage the child to learn through play. When your child is ready to use a pencil and paper, he will be familiar with the shapes of the letters, while his fingers and hands will remember the motion of making these shapes. Playing with toys that strengthen their ability to manipulate objects and improve their visual motor skills is important. Again, it seems like they are just playing when they use toys for stacking blocks, sorting sizes, or matching shapes, but they are also improving their ability to manipulate an object which will come in handy when they go try writing. Montessori toys are great choices for improving their perceptual skills and hand-eye coordination which will help them be more successful when they try writing. 3. Paint with fingers and paintbrushes. Art is a great way to support free play in a Montessori environment and it helps develop hand-eye coordination. 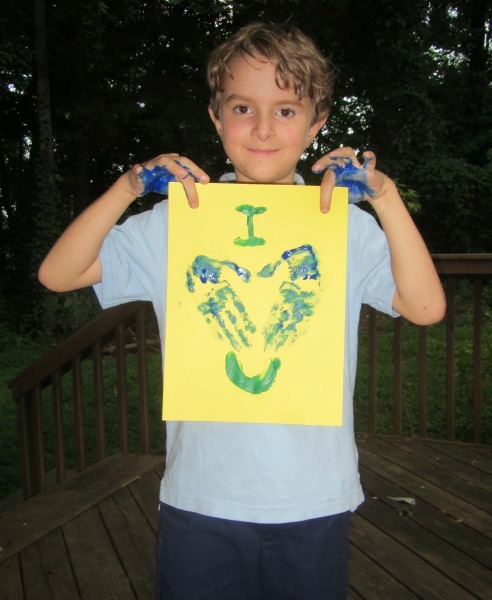 Painting encourages your child to use fine motor skills as well hand muscles. Gently strengthening these muscles at a young age helps prepare your toddler for writing in the future. Your child can paint a rock, a paper, or even some wooden materials. You may use leaves and sponges as a stamp by dipping it in paint. He may use his fingers too and later you can introduce different kinds of brushes for “real” painting. One of my favorite preschool Montessori activities was painting big shapes and eventually cursive letters onto big pieces of newspaper. 4. Draw, color, and trace. 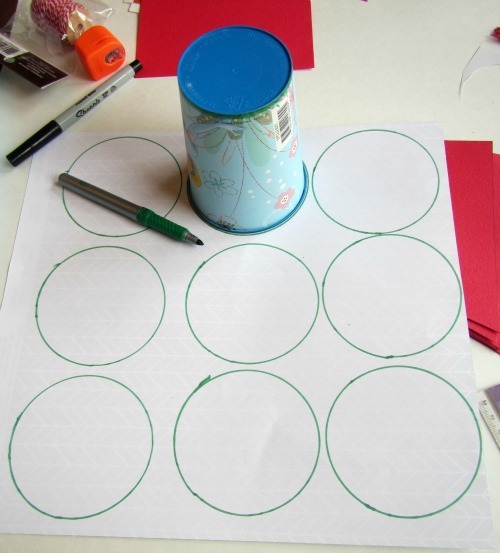 This could be one of the most inexpensive Montessori activities you can do with your child. Tearing paper into small pieces can be really fun and satisfying for them. It also develops the muscles in their hands and fingers and prepares the child for writing. You may also introduce cutting with the use of child-friendly scissors and supervision. 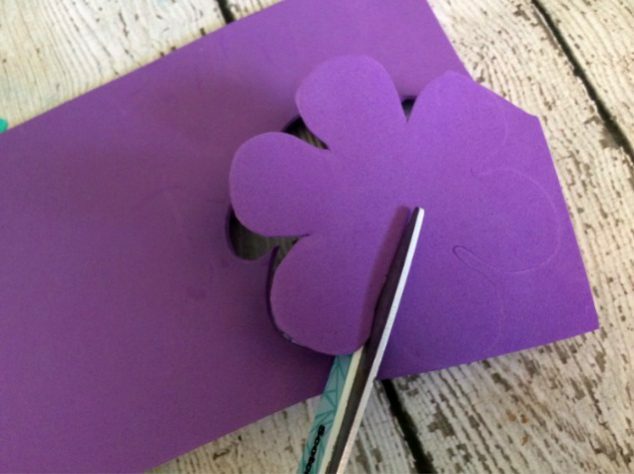 Start with cutting papers and then once they get the hang of it, let them cut other materials such as molding clay! I used to love this. My grandmother often called me “Scarlet Scissors” when I was little because I loved to sit in her office and cut her old papers and junk mail up into shapes and tiny bits. All of these preschool Montessori activities are great for encouraging play that will help them develop pre-writing skills and succeed at writing with less frustration. 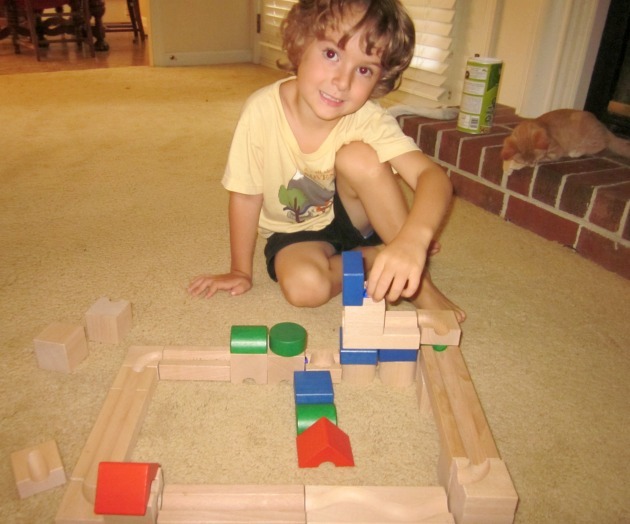 What are your favorite preschool Montessori activities?